I am fortunate enough to have made friends with other bloggers and lovers of Italy. Debra Kolkka, who writes the award-winning blog, Bella Bagni di Lucca, as well as Bagni di Lucca and Beyond, is one of those people. 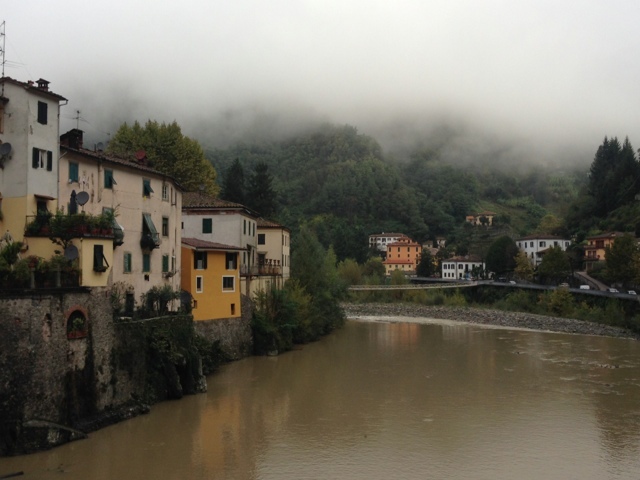 She kindly invited me to stay with her at her home in Ponte a Serraglia, one of the lovely villages of Bagni di Lucca. Since it was cloudy and rainy when we arrived, and since my camera battery had died, I did not take many photos, but Debra is an excellent photographer, so please refer to her blog to see what her village looks like. After settling in we went to dinner at one of her favorite restaurants, just across the bridge, in the piazza. It was obvious that she knows everyone after living here half the year for eleven years. She is Australian but speaks Italian and has a passion and love for Italy too. 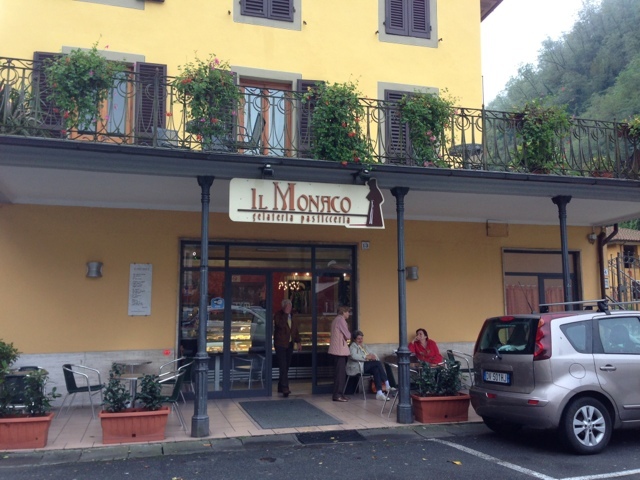 The next morning, after cappuccino and a pastry at Il Monaco, we drove to Serignano in Monte for a personalized tour of Italian Shoemakers and the factories where they actually make their shoes by hand. Look for another blog post on that tour. It was an amazing experience to see how everything is done, and Louisa and her colleagues could not have been any nicer to us. In the afternoon she took me up into the mountains where her other home is, one that she built from an old stone home. She lovingly named her house, Casa Debbio. The atmosphere in the mountains was so peaceful despite the rainy weather. The clouds hanging low created a scene worthy of a painting. It’s always good going with a local who knows the best places, so we went to a hermitage, Antica Trattoria dell’Eremita that had a fantastic lunch. I had the delicious crepes recommended by Debra. The water was from their spring and the entire area was one of tranquility. 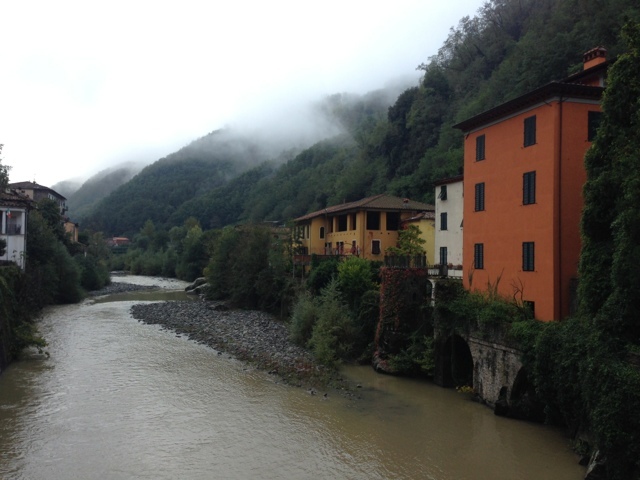 The ride back to Ponte Serraglio was definitely not for the faint of heart. A 4-wheel drive vehicle is a must as well as a skilled driver. 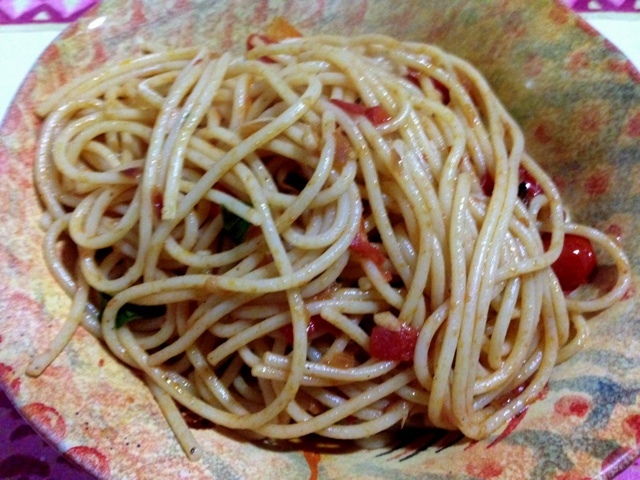 Debra treated me to a homemade meal of pasta with pomodori and olivi, and it was the best. Of course the Nero d’Avila wine added to it. It was nice to be inside during the heavy rain that night. Before Debra took me to the train station the following morning, we had time to browse around Lucca for several hours. Check the next post for photos from Lucca. Grazie Mille, mia amica for a wonderful time! It was great to finally meet you and have you in our lovely village. With a bit of luck we will meet again in the spring. There are so many beautiful places to fall in love with at first sight in Italy. How does one choose their very favorite village or town? 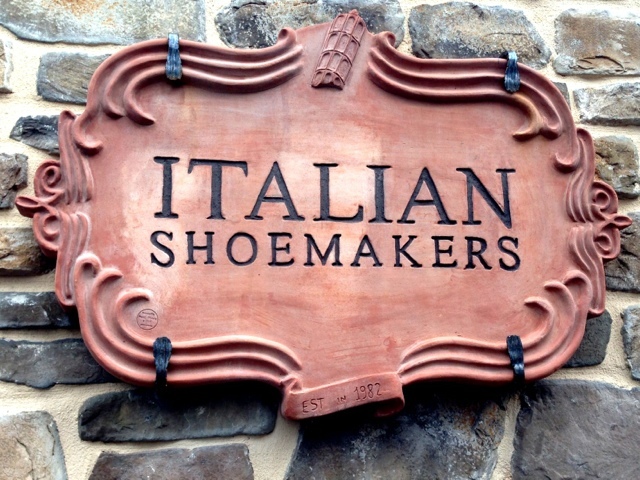 I would have loved to see where the shoes are made! We are enjoying reading about your adventures through Italy. I say “we” because I have been forwarding your blog to my 92 year old father, who was a soldier there in a WWII, during which he fell in love with all things Italian. Our family have become Italiophiles, so we use to visit every few years, but now he’s unable to return, so your stories are the next best thing! Thank you for sharing! How did I miss this post! I hope to meet Debra soon too, Margie 🙂 And visit this beautiful village.